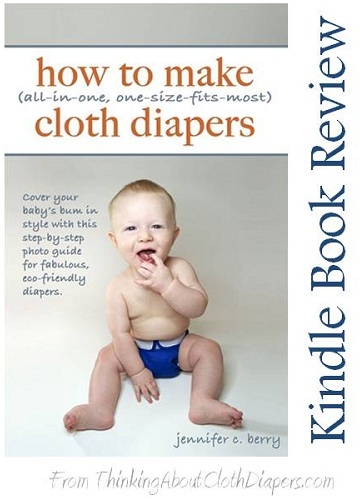 Sewing Cloth Diapers: An E-Book Review & Giveaway! 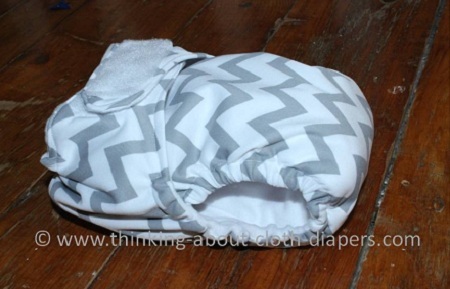 Have you ever thought about sewing cloth diapers for your baby? It's a great way to save money and get a perfect fit. And good news: you no longer need to go on a treasure-hunt around the internet for resources. I've discovered a great e-book that can help you get started! Plus, enter below for your chance to win a free copy of your own! From the back of the book: "This smart and savvy photo guide will have you making all-in-one, one-size-fits-most cloth diapers in no time. Save the money you'd be spending on disposables and do something nice for the environment while you're at it! The instructions in this book are friendly and easy-to-follow, and the accompanying photos each step of the process clearly. Whether you're a novice or a pro when it comes to sewing, if you want to make cloth diapers, this is the guide for you." To be clear: this book focuses on making an all-in-one, one-size-fits most-diaper. 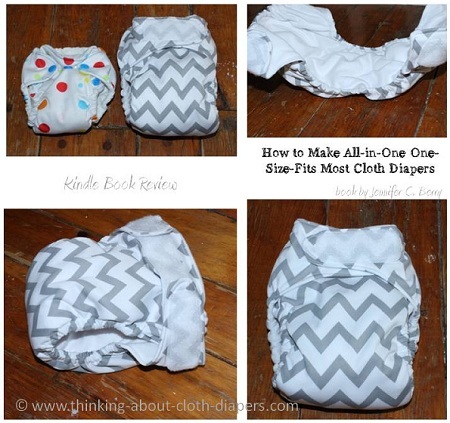 It does not include instructions for other types of diapers, but many of the sewing tips and suggestions would be very helpful even if you decide not to sew an all-in-one. This book was self-published by the author, and I want to comment on that! Now that self-publishing has become easy and inexpensive, it's not hard to find e-books that should never have been published. And that's not the case with "How to Make Cloth Diapers" - the writing, editing, formatting, and photos are all of a professional quality. This isn't an amateurish attempt at an e-book! Ever thought diaper sewing was too complicated for you? Think again! With "How to Sew Cloth Diapers" as your guide, you'll be turning out professional-looking diapers in no time! The book leads you through an assembly-line approach to sewing cloth diapers, which allows you to do all of the cutting, piecing and sewing in stages. The easy suggestions will save you time (less switching between straight and zig-zag stitches, and less thread change-overs), and will get you on your way to a pretty decent stash in about a day. Using the smart pattern placement highlighted in this book, the author suggests you will be able to get 15 one-size diapers out of 2 yards of 60" wide PUL, plus the liner and absorbent materials, and notions. That's a pretty small investment to grow your diaper stash quickly! That said, if you're new to diaper sewing, I suggest you complete one or two diapers before you start into a full stash. You'll get a chance to check out what works, and you can also see (and brag about!) what the final product will look like. While the book does provide details about many of the fabric options available, the author recommends using PUL, suedecloth, Zorb, and hook and loop fasteners, all of which are easily sourced on-line. If you plan to make changes from the materials recommended by the author, it might also be a good idea to make a single diaper so that you can test out your diaper for fit and absorbency! I had absolutely no trouble making a diaper that looked almost identical to the ones the author shows in the book. This book has clear and easy to follow instructions, with tons of great photos that of a consistent high quality. The pattern in this book is an all-in-one with a hidden, sewn-in pad and hook and loop closures. After I sewed the diaper, I compared it to several others in my stash. While every baby is different, based on my comparisons, I would suggest that this one-size option will fit from 10 to 30 lbs. Some one-size diaper patterns fit up to 35 lbs, but these usually utilize a snap-down rise to adjust the length of the diaper. 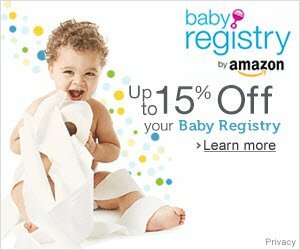 While the author suggests making a stash of 40 or more diapers, I suggest you start out with a smaller number to save time and money - I find that usually 25 is plenty. If you decide you'd like more, you can always make more later! Even if you don't use the pattern in this book and prefer to source one from the internet, I still recommend taking the time (and minimal expense) to read this e-book. It's full of great tips and suggestions to make diaper sewing easier. 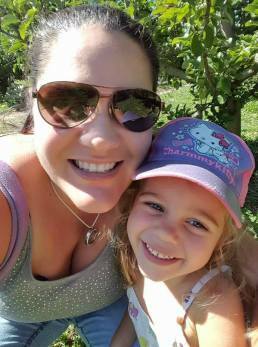 Even though I have sewn dozens of diapers and consider myself to have intermediate sewing skills, I still found enough new ideas and learning that the purchase would have been worth it for me. In Canada, from Amazon.ca - as a Kindle e-book ($5.00). If you don't have an e-reader, you can download a free Kindle reader program for your computer, which is probably the best way to view it anyway! Want to win a copy of your very own? The publisher of "How to Sew Cloth Diapers", QBerry Books, is offering an electronic copy of this book to one lucky reader! Disclosure: I did not receive any form of compensation in exchange for this review, but the publisher did provide me with a complimentary copy of the Kindle e-book for the purpose of this review. The opinions expressed in this post are entirely my own, and your experience with the product may differ from mine. I only recommend products or services I use personally and believe will be good for my readers. This article contains affiliate links. I am disclosing this in accordance with the Federal Trade Commission’s 16 CFR, Part 255: “Guides Concerning the Use of Endorsements and Testimonials in Advertising.” For more information, see our Disclaimer and Copyright.